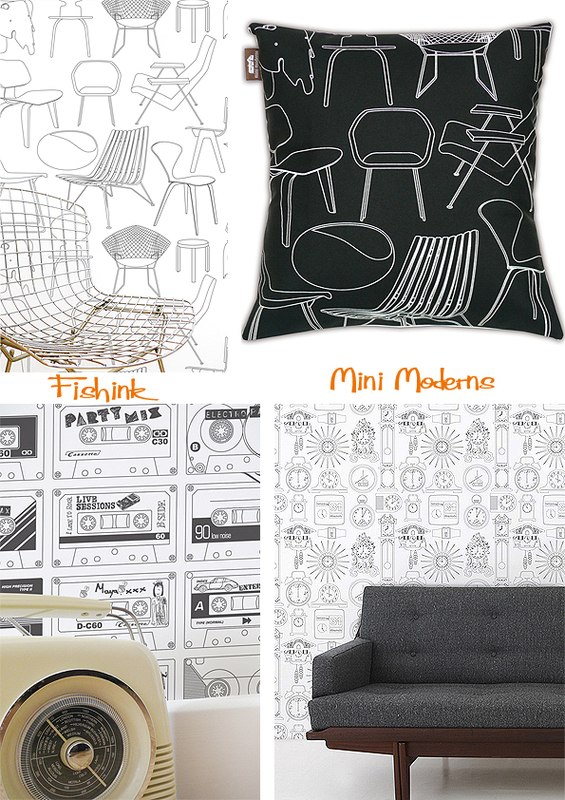 Mini Moderns . Contemporary style with a touch of the past. 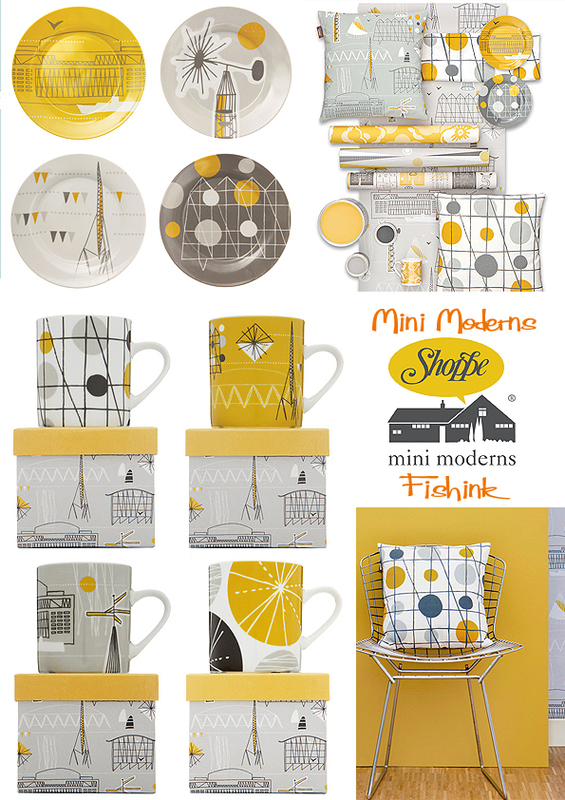 Mini Moderns is the creation of Keith Stephenson and Mark Hampshire. 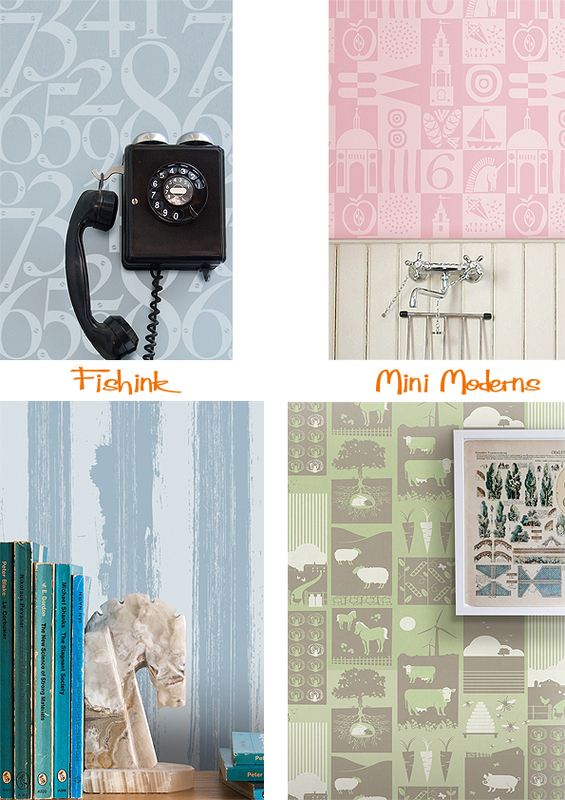 It is an interiors brand specialising in applied pattern across a range of products including wallpapers, fabrics, cushions, rugs and ceramics. 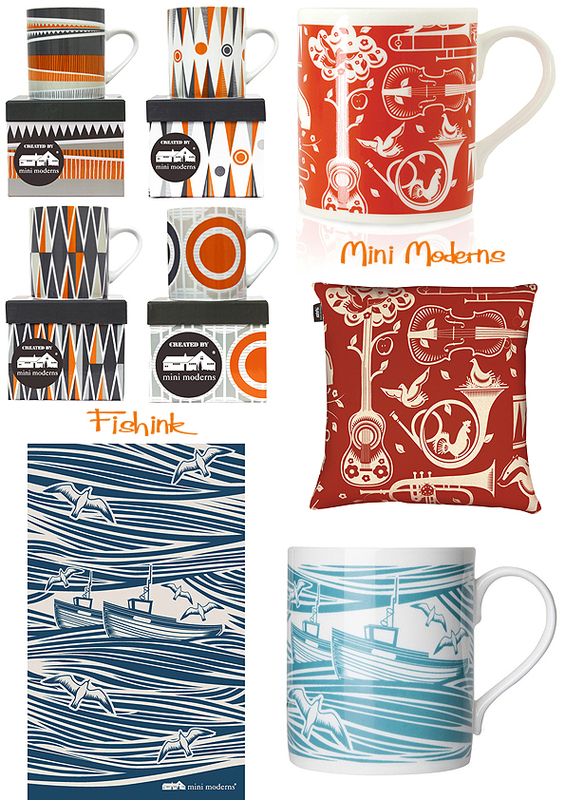 The initial collection (below) was inspired by the 1951 Festival of Britain and was quickly snapped up by Heal’s. 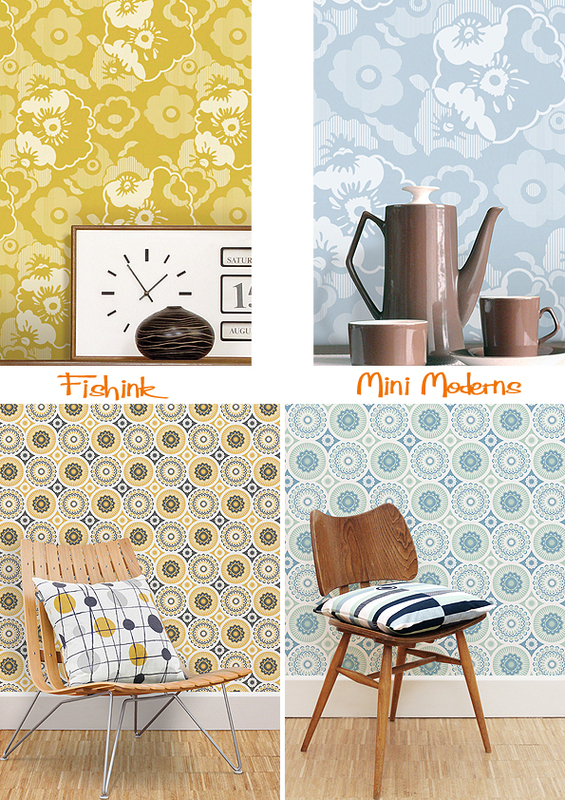 Before Mini Moderns was formed, Keith had worked as a textile print and graphic designer for various fashion companies ranging from jeanswear to cult fashion brand Red or Dead, whilst Mark had worked in television and had also created his own interior designer-maker business selling his collections through Heal’s. They met at a branding agency in the mid-nineties, and were always put together as a team for projects, they soon realised that they worked well together and had a similar aesthetic, approach and most importantly a similar sense of humour when it came to working on projects. 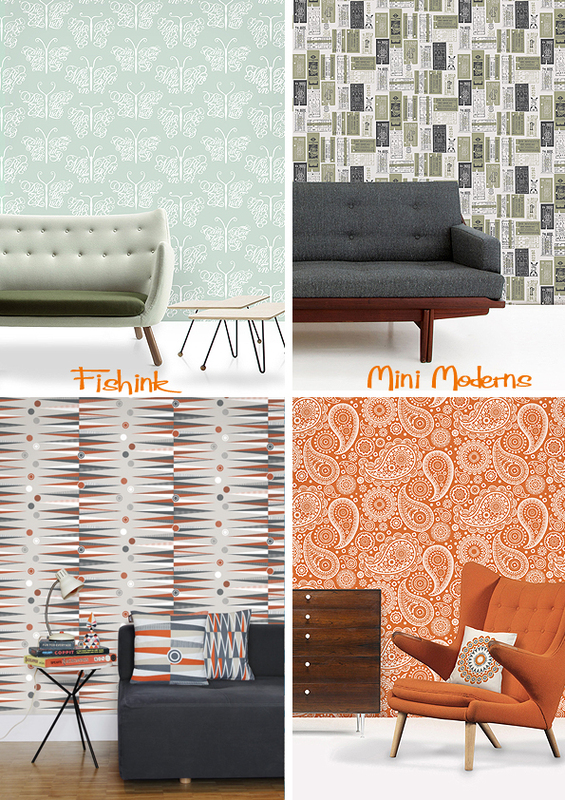 “We work with pattern in way that creates a mood or a story. We don’t create pattern for pattern’s sake – we won’t for example do a design because other pattern makers are doing it and it may be commercial – it has to mean something to us. For us pattern is and should be a personal thing. We love to hear how people respond to our designs and the memories or images they evokes for them.” Their wallpapers, fabrics, cushions, rugs and ceramics all evolve as emerge as well considered and concluded ranges. 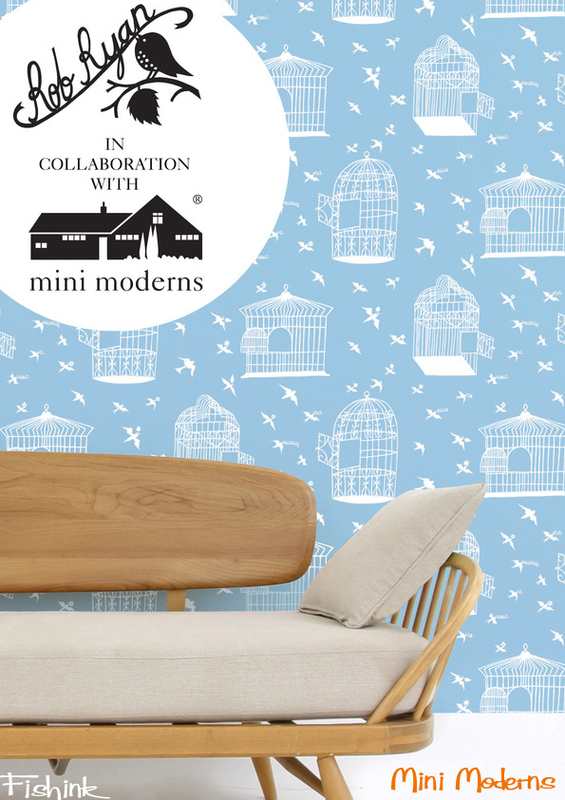 Inspiration-wise, they always say that nothing is beyond inspiring them, design influences range from mid-century British textiles to vintage toys, from literature to childhood memories. Travel also influences their work, and much of the inspiration comes from holidays and field trips, both at home and abroad. One design can transform into another whilst working on it. Their suppliers are so important to their company that the guys get to know them personally, it made perfect sense for them to manufacture their products in the UK with ‘nice people’ (as it says on their label), producing goods at prices they agreed that their customers could afford. It’s great to see how varied the inspiration is in their work. From calligraphy, backgammon, paisley, travel tickets and their own memories from growing up (like c-60 cassettes), it all appears and works well as a rich collection. 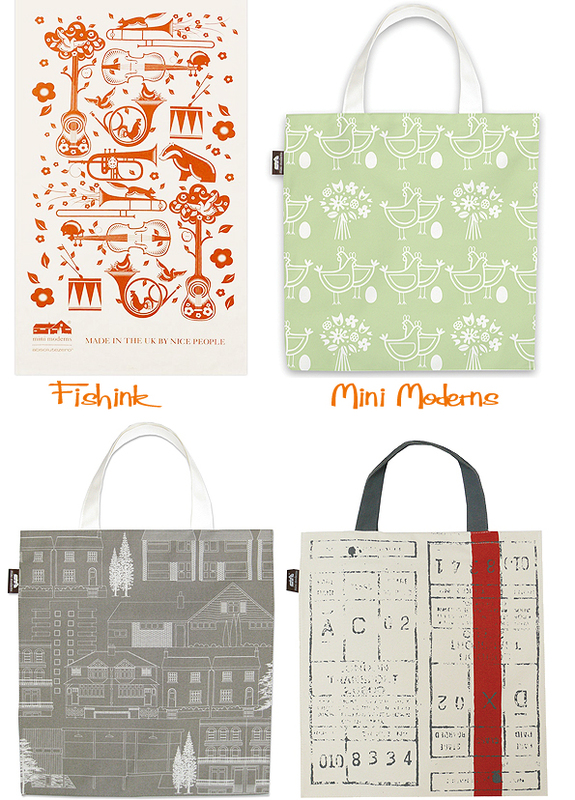 Some amazing design work, check them all out on their site here. Thanks again to Katie Treggiden over at Confessions of a Design Geek for asking all the right questions and allowing me to quote her replies.